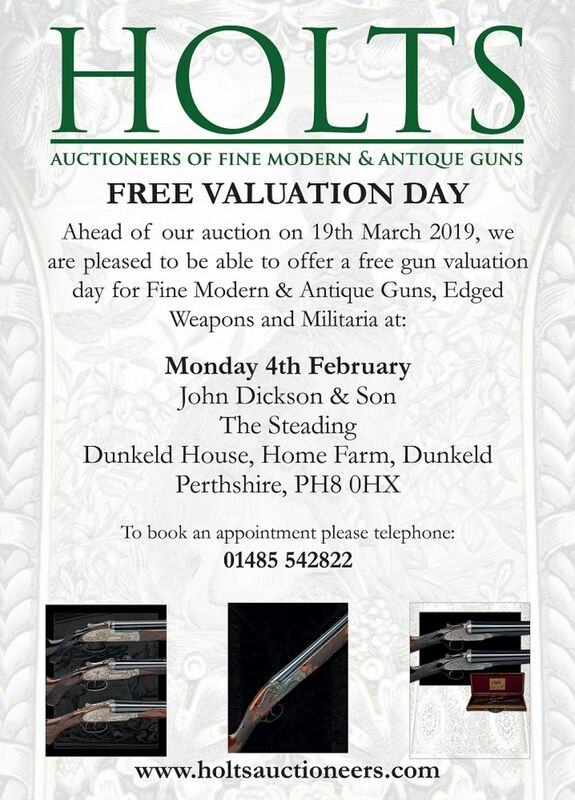 John Dickson & Son, Dunkeld are hosting a Holts Auctioneers valuation day. Ahead of their next auction on 19th March 2019 Holts Auctioneers are holding a valuation day at our showroom in Dunkeld on Monday 4th February 2019. Please contact Holts directly on 01485 542822 to make an appointment.